Here's one reason I run (and walk) barefoot: Shoes don't fit! But years of barefoot running has made them much larger. Now most size 14's are too small. 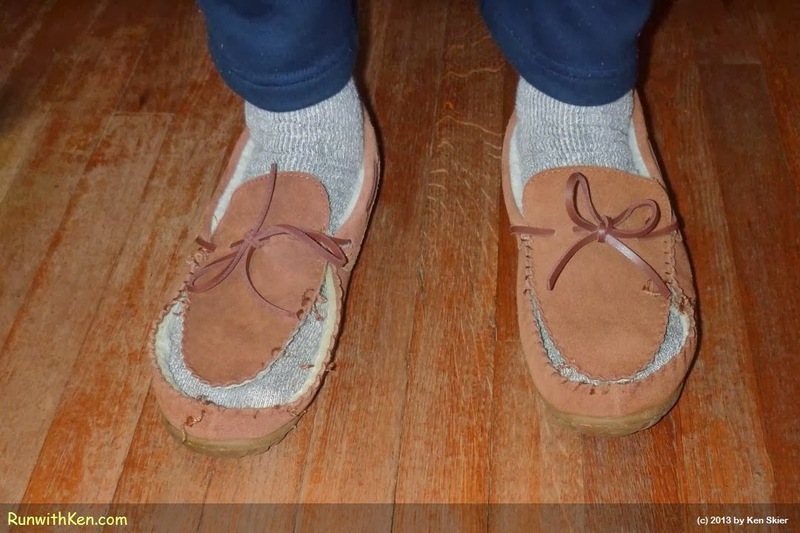 So a lot of my shoes look like these moccasins!